It's so easy to get drawn into barns because each one has some it's own story. 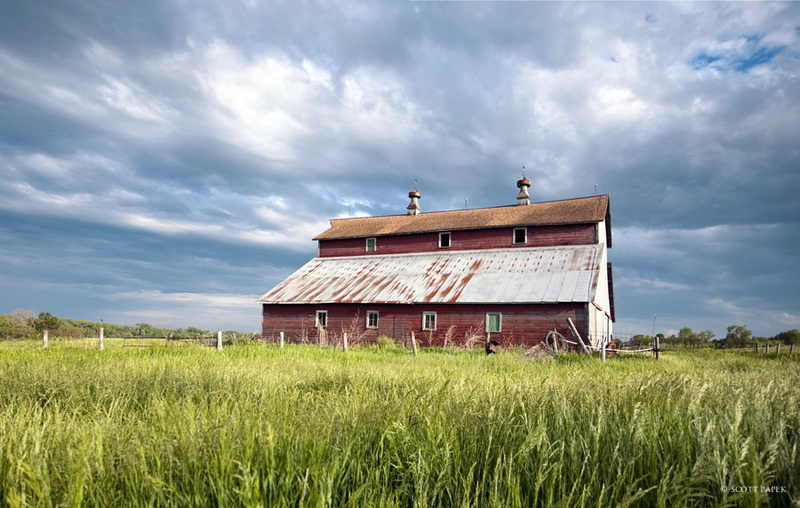 The contrast between the blues in the sky, lime color grass and the yellow wildflowers showcases the pride and strength of this old red barn. Photo © copyright by Scott Papek.